im needing the top driver side headliner to door trim for 73 chevelle, its the plastic part that would up the front/windshield headliner trim. 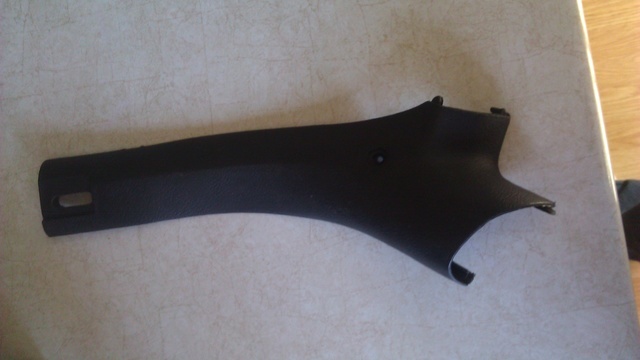 So you need this short section that connects the trim piece that holds the shoulder strap to the "A" pillar/windshield trim? Send me your zip code if you're interested in buying it. Mcarlo77 wrote: So you need this short section that connects the trim piece that holds the shoulder strap to the "A" pillar/windshield trim? Money sent, thanks a ton. got it today, thanks again.